Pain in the neck or spine can be difficult to pinpoint. Pain can radiate and come from a variety of sources. 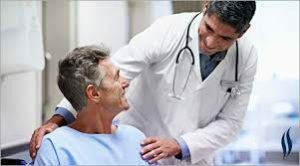 Due to the complexity of the spinal cord and nervous system, the utmost care must be exercised when medical treatment is provided in this area. 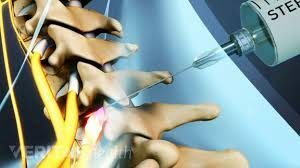 Cervical nerve root blocks can be used both to diagnose the source of pain and to eliminate pain. A cervical nerve block serves to inhibit all signal coming to and going from the region treated. This allows doctors to correctly identify the location and cause of cervical pain. This is done by injecting a small needle into the region of the spine suspected. The region of the spine this medication is applied to is determined based on patient reports of pain, visible signs of swelling, and distal reports of pain and regions of the body innervated by that section of the spine. For example, if nerve pain is suspected to be affecting the legs, the cervical region of the spine would not likely be the cause. Instead, the patient may report pain in the thoracic or lumbar region of the spine. 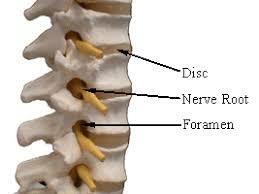 Once the region is grossly identified, the doctor May inject an anesthetic to numb a specific region of the spine. Once this part of the spine is numb, the doctor will use sensory testing to determine if the area questioned is indeed the cause of pain. This procedure is done on an outpatient basis, meaning the patient will be able to coming to a clinic, undergo the procedure, and leave. It is still recommended that someone accompany them, as one should not drive for 24 to 48 hours after receiving anesthetics. Cervical nerve root blocks can also be used to effectively treat pain. Once the source and region of the pain has been correctly identified, cervical nerve root blocks can numb the region of pain and reduce further swelling. The medication injected in the case of a cervical nerve root block is a localized anesthetic. The same anesthetic will reduce the pain signal leaving the nerve to the brain. For some, this treatment is very effective on the first dose and has long-lasting effects. For others, more frequent treatment is needed in order to see results. Dr. Grimm will be able to give you an anticipated schedule for treatment, but every case is different. It is important to regularly communicate progress and potential side effects in order to ensure safety. As with diagnostic cervical nerve root blocks, this treatment can be done on an outpatient basis. Still, someone else should always accompany the patient to drive. Whenever anesthetics or sedatives are used, it is vitally important that one not operate heavy machinery or drive until the effects have worn off. Would you benefit from cervical nerve root blocks, either to diagnose or to treat pain? Call Dr. Grimm and schedule an appointment to talk about it.